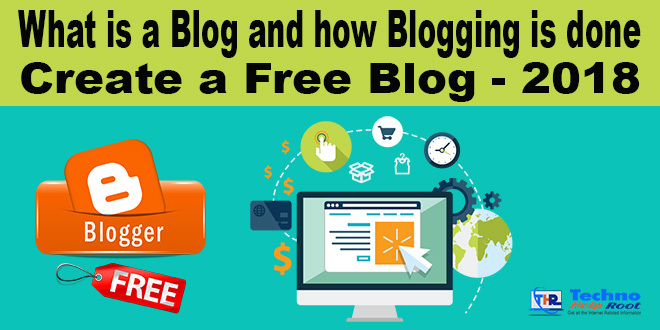 What is a Blog and how Blogging is done: Friends In today's post we will talk about Blog and learn more about how we can earn money through blogging and will try to find answers to all the questions that arise in your mind after reading this post. "Create a Free Blog - 2018"
If you want to earn money by doing online work then you have come to the right place, to say that there are many ways to earn money from the internet but there are many ways that are completely fake. When you work in such a fake way, you do not get anything and you feel that money cannot be earned from the internet. In this post, we will talk about a way that is in today's time. Everyone is earning money by working on it, which is called Blogging, let's first understand what is Blogging, Blog, and Blogger. The blog is a Google product that works like a website, it is a free service provided by Google. 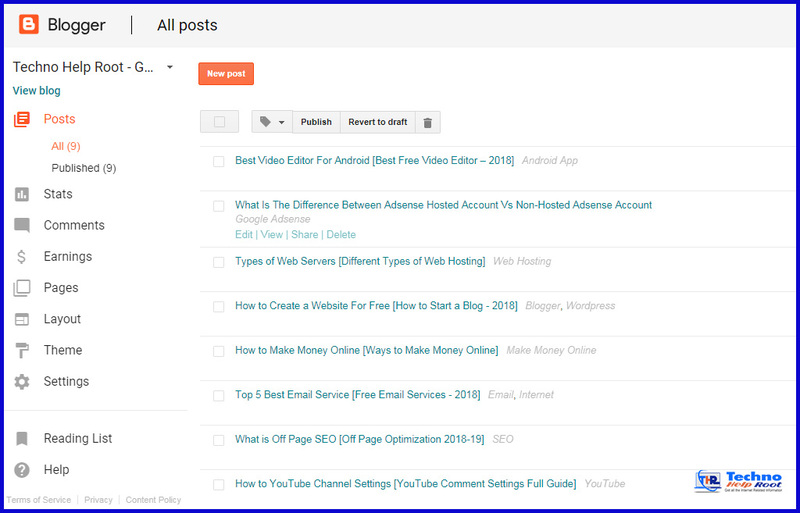 Through the blog you can share your points with the world as if we put a post on Facebook, then some post but your post was written on Blog reaches everybody who searches for it on Google. 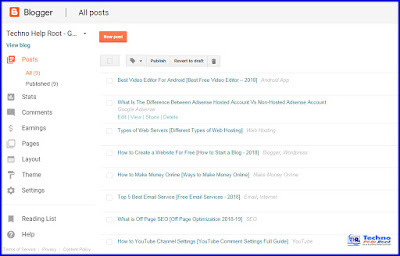 If it is said clearly, the blog is a website that can be made absolutely free and Google has created its interface in this way that everyone can easily use it and the way it works can be brought in. The person who blogs and blogs on shares a post every day and talks to them to join the people. It is a blogger, it puts a post on your blog that someone has the help and people get it like it. After reading all this, there are some such questions in your mind, let's see your questions and their answers. Can money be made from blogs and how? What kind of blog looks like? You can do blogging on any topic such as sports, sports, entertainment, health, technology and whatever subject you are interested in, you can create your own blog and website. To create a website you need information about many types of web designing and it takes money to create it while the blog is a free service that works only on the website. To create a blog, you have to go to blogger.com and make your account and then take the name of your blog or website from there. Have to pay money to make a blog? No, it's absolutely free, there is no money in it. Friends, if you still have a question in your mind, then in the comment box, you will definitely get the answer to your question, and yes, by creating a blog, posting on it, to earn money, some kind of setting has to be done and your blog is up to the logo To reach it, it has to be linked to Google like the website and any other thing has to be done. To work on both blogging and website friends, we have to step by step. You will not get any website on the internet who will tell you what to do after creating a blog, but in step by step you will tell me what to do first Then what to do after that and then what to do after the start, from the beginning to the end and from the Google Adsense to the journey of your blog with ease. Friends, if you like this post, then definitely share it. So that more people will get help if you have any questions. If you have any questions, you will definitely get the answer to your question and we will subscribe to get the new post.